I LOVE THE BOOK KAVALIER AND CLAY. This is a book that was published in 2000 by writer Michael Chabon who went on to win a Pulitzer for his opus. 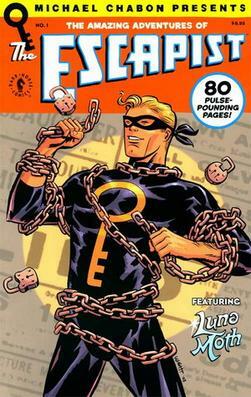 The book is a comic/superhero fans dream as it is basically a dramatization of the early days of comics in the US from pre-World War II to the Kefauver Senate investigations, and then on into the Silver Age. The book also centers around a bizarre love triangle and the creation of the iconic character, The Escapist. The story is an origin story of sorts steeped in magic, romance, comics lore, Jewish mysticism, and modern American pop culture. You get bits of Joe Kirby, Stan Lee, Houdhini, Orson Welles, His Girl Friday, Brokeback Mountain, L.A. Confidential, and The Great Gatsby all balled up in this very American story. Kavalier and Clay is thrilling, emotional, suffocating, and exhilarating all at once. The book should have been one of the greatest cross-promotional movies, mini-series, or adult animated series ever. However, the filmed treatment of this property has languished in the hands of producer Scott Rudin. Too many good things conspired to ruin chances of seeing this story on the big or small screen, but we do have someone who loved it enough to do a short. Below, we have the feisty Joe Kavalier searching for lost loved ones in New York, as he was the cousin who could not let go of home. He was the brains behind the character while his cousin Sam was the impresario who would raise the cult and popular status of the character. TV: David Letterman: Who should replace him? Dave Letterman (my homie) is retiring and they are already circling the carcass. Dave Letterman has truly influenced a generation of comedians, which is amazing for a “comedian” who would probably classify himself as marginal. Dave was an inspiration for me in his late night incarnations for NBC and CBS. To me, he surpasses Carson because of his ambition to shine a light on real world issues, aside from spotlighting new and up and coming comedians. He has started the careers of a few (Romano and James), but he has more so brought issues to light and questioned the absurdity of frustrating political conflagrations. 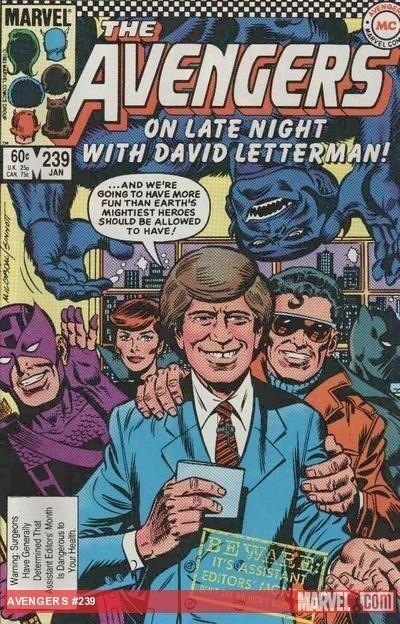 Letterman is an institution unto himself and should be feted by every late night progenitor existing today. I’m sure he will be. My vote is Amy Poehler as CBS would steal a Lorne Michaels protege and would position her against her very good friend Jimmy Fallon and Kimmel. Poehler would be brilliant. Not only is the exterior of this place very famous, but the interior is equally famous by description of Suzanne Vega. This is something I just learned by watching the video. Can’t wait to see the whole thing now! 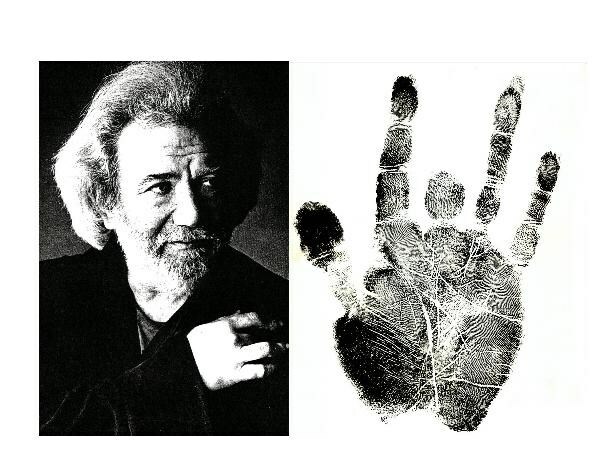 Now we finally know what happened to Jerry’s finger, man!